Store, transport, and protect your Sony Cyber-shot DSC RX100 II, III, IV, V, or VI in the blue Ultra-Light Neoprene Camera Case from MegaGear. This stylish carrier is made from lightweight neoprene and it has a foam-padded interior for impact protection. The Ultra-Light features large handmade stitches, a flap closure, and a carabiner for easy carrying. 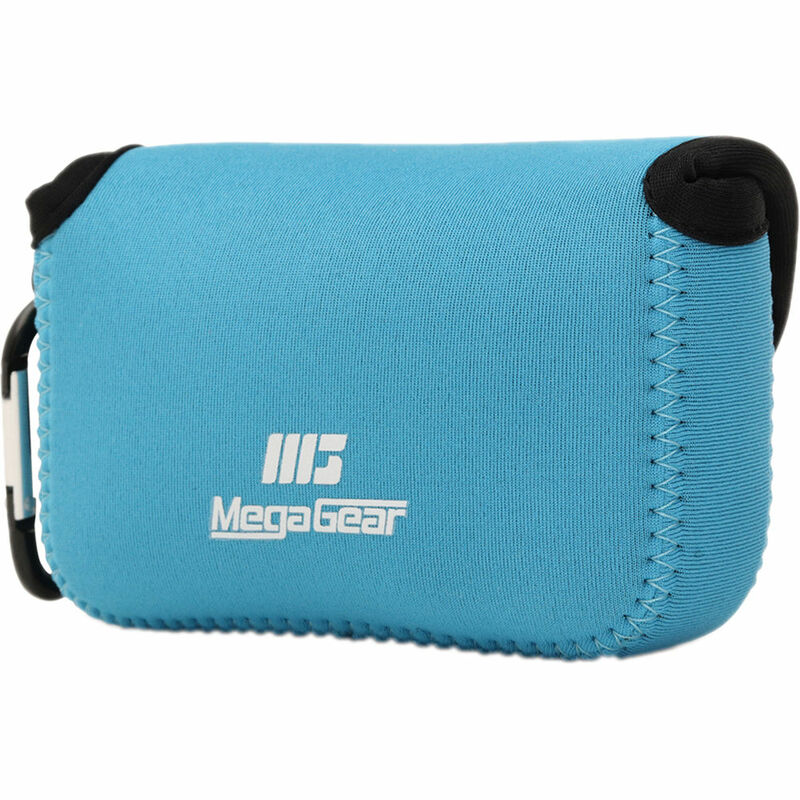 The Ultra-Light Camera Case helps protect your camera from moisture, bumps, scratches, dust, and dirt.